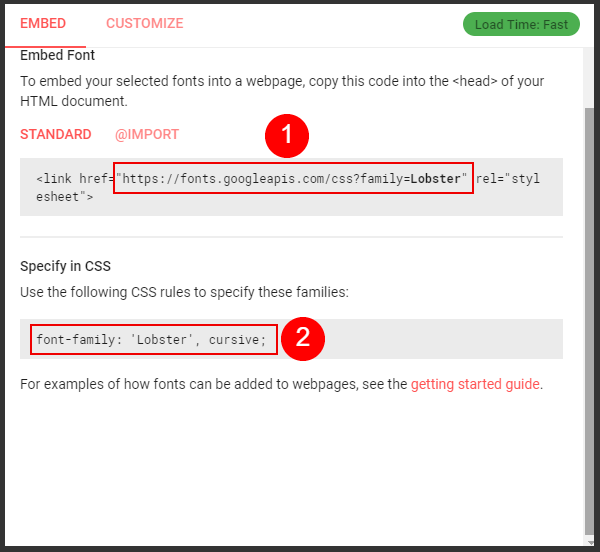 Learn how to add any Google Font for use in your membership site. Note: This is an advanced styling technique, we recommend some knowledge of HTML and CSS. Copy the text in the red highlight boxes 1 and 2 for later use. Now click on the stylesheet tab and add some code like this. In the above example we specify that ALL h1 text will be the new font. This can be any font style you want, just specify it the CSS code. Note: I added a !important to the end of the added font CSS code to make sure that takes precedence.